By installing the MoistTech snack food moisture sensor at the exit of the ovens, close to packaging, will allow the snack food time to stabilize while cooling. Ideally, a minute after the ovens. The sensor should be installed several inches above the belt or screw conveyor so that a baker can continuously monitor the process and can control the moisture content either manually or automatically in the finished product. 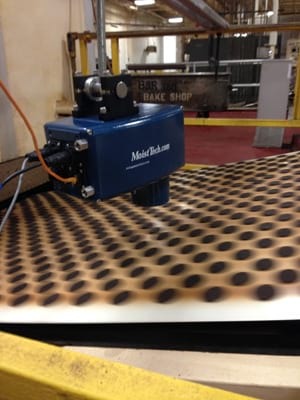 If the snacks have gone through an oil spray, it is important to install the sensor at an angle to cut down any reflectant from the oil coating.